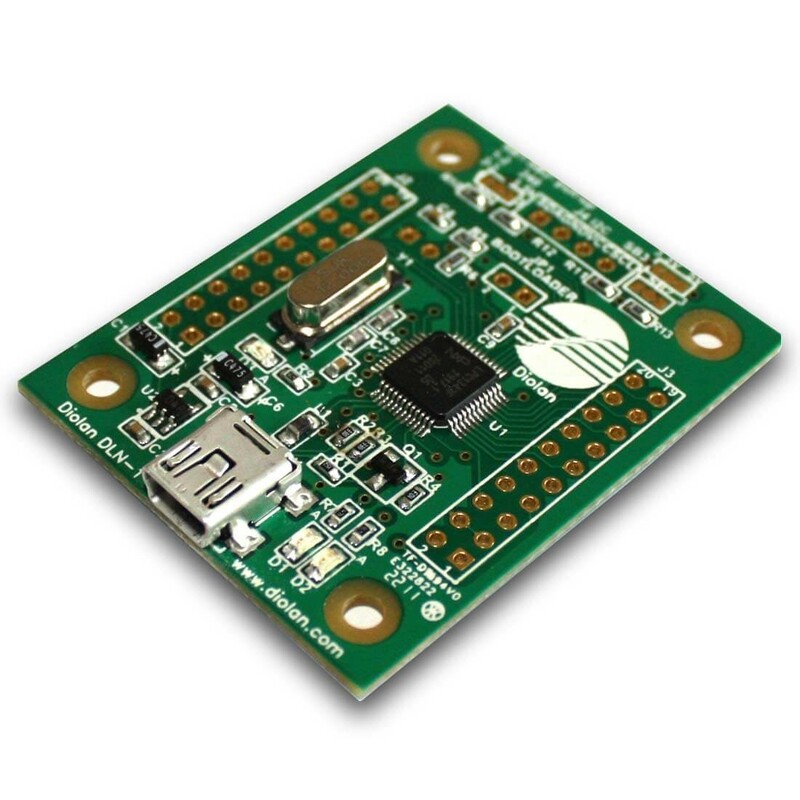 DLN-1 is a cheapest and smallest PC-I2C/SPI/GPIO interface adapter currently available on the market. 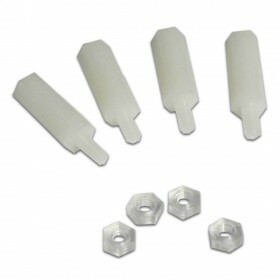 The DLN-1 adapter comes without assembled connectors, so you can solder it directly to the breadboard or to the main PCB of your device. 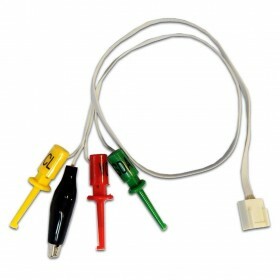 Most of our customers use this adapter as an integral part of their final product. 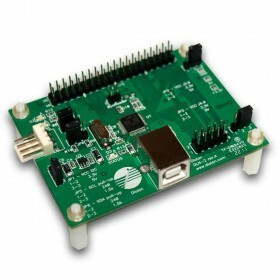 DLN-1 interface adapter supports Standard (100 kHz), Fast (400 kHz) and Fast Plus (up to 1 MHz) I2C bus frequency modes. I2C Bus voltage can be supplied through internal pull-up resistors (3.3V or 5V) or external pull-ups (2.3V-5V). 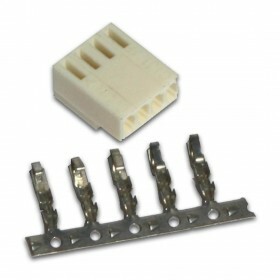 I2C interface pull-up resistors can be configured with solder bridges. 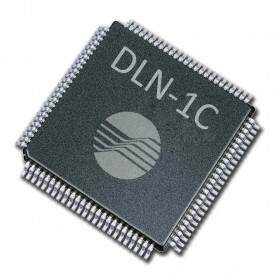 DLN-1 SPI interface supports all 4 SPI modes and frequencies in the range from 2kHz to 4MHz. 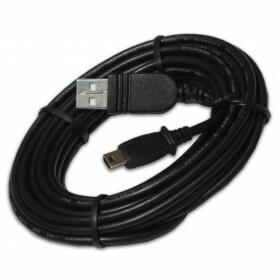 It can perform half-duplex (read or write) and full-duplex (simultaneous read and write) data transactions. 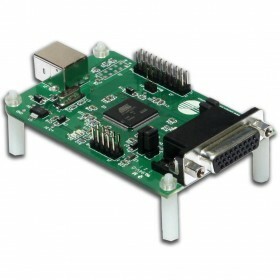 DLN-1 PC-SPI interface adapter operates on 3.3V. 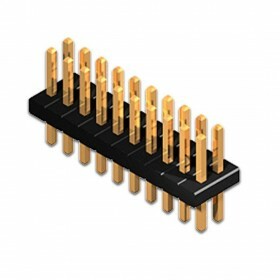 However, its SPI interface pins are 5V-tolerant, so you can use it in 5V SPI circuits. DLN-1 can be connected to a single SPI slave device (it has only one SPI slave select line). 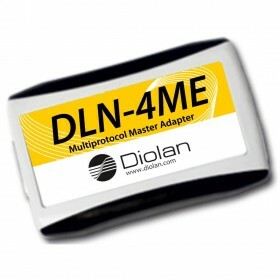 If you need more slave select lines or higher SPI bus frequency, consider using of DLN-2 or DLN-4M adapters. 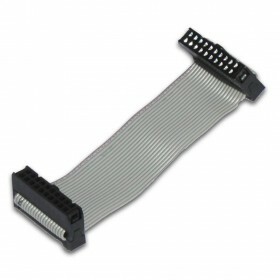 If you need an SPI slave interface (connect external SPI bus master to PC), use DLN-4S adapter. 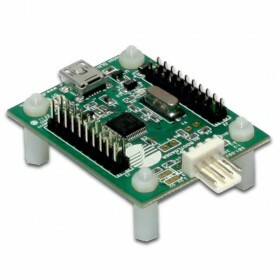 The 32 GPIO pins can be configured as a general purpose digital inputs or digital outputs. 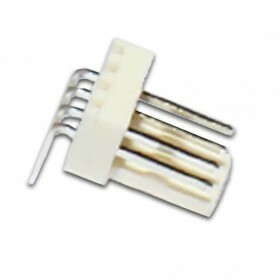 Each GPIO pin is equipped with an embedded pull-up resistor. 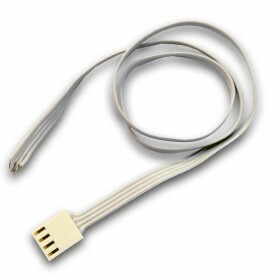 Pull-up resistors are used to ensure that inputs to GPIO lines settle at expected levels, if external devices are disconnected or high-impedance. These GPIO pins are shared with other modules. If you use I2C, SPI or some other interface, the number of free GPIO pins are reduced by the number of pins used by these modules. C/C++ API C/C++ API desription. .NET API API description for .NET development. LabView Instrument Driver NI LabView instrument driver and LabView examples description. User Manual Installation tutorial, system requirements, firmware update instructions. MS Windows Setup Package Contains driver, API libraries, binaries and software examples source code to use DLN adapter in MS Windows OS. Linux Setup Package Contains all required files to start using DLN adapter in Linux. Firmware Update Latest firmware update for DLN adapter. Firmware can be downgraded with this application also.